Posted by Breckenridge Associates Real Estate on Sunday, March 10th, 2013 at 3:42pm. 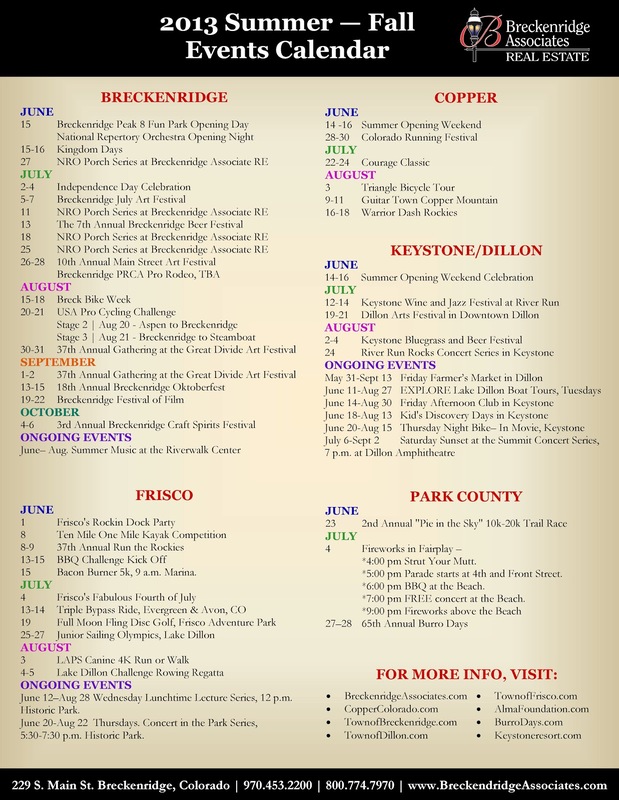 There's lots on-tap in Breckenridge and Summit County this Summer. 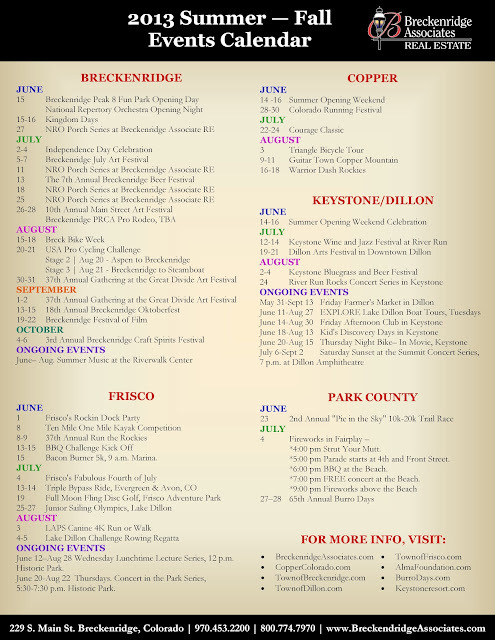 Check out this Summer's event calendar for events around the county. ﻿﻿﻿﻿ ﻿Please contact us to learn more about real estate in Breckenridge and Summit County, Colorado. 800.774.7970 or 970.453.2200. Click here for the latest news about Breckenridge Real Estate.